These intricate and fancy 3D crochet flowers can become a finishing touch on just about any piece of attire, whether it is a piece of clothing, such as a hat, or an accessory, like a bag or brooch. 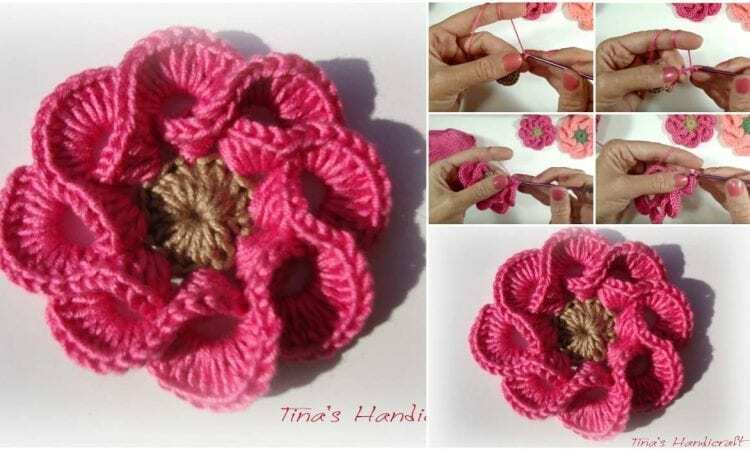 We link a number of instruction videos how to crochet 3D Flowers with multiple petals. They are not exceedingly difficult, and the instructions will show you how to make stunning flowers in any size and color. The yarns can be selected to match any desired appearance and to make the resulting flowers unique and individual. For more free designs every day follow us on Facebook. Link to the video tutorials are below.